Roman statue of Hercules. This statue is the upper part of a herm, a four-cornered pillar surmounted by a sculpture. 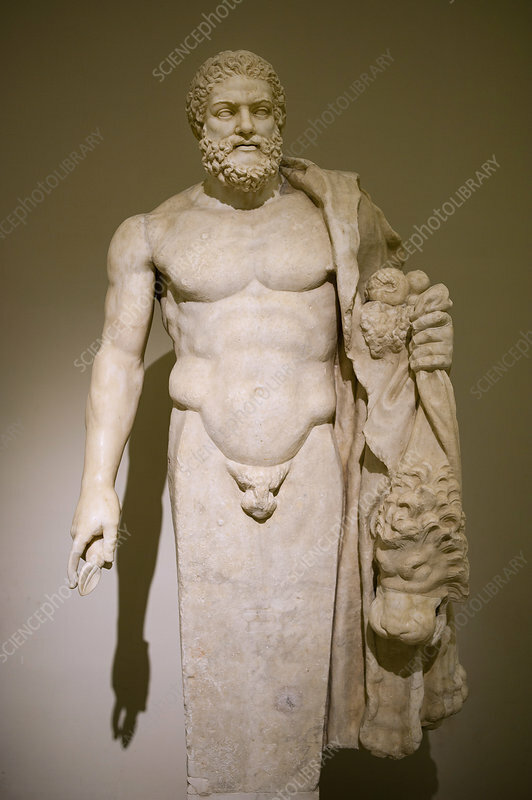 The sculpture depicts Hercules with a cornucopia, a classical symbol known as the 'horn of plenty'. It also shows his lion-skin cloak, the skin of the Nemean lion. Hercules, a son of Zeus, was a hero famous for his 12 labours. He was half-immortal (a demigod) and became a god when he died. This statue dates from the 2nd century AD. Photographed in 2017, in the National Archaeological Museum of Naples.